So, I doubt random.org ever picks #1, but I will comment anyway. I love my Cricut and my Cuttlebug both. But my most used recent item for crafting is my sewing machine (I have been making a flower girl dress...pictures on my blog.) It is so hard to pick one thing...I love it all. Now that my sewing machine is out, I may start using it on paper crafts. I still haven't done that! I love your blog! I love making my own cards too. My favorite handy-dandy, can't-live-without card-making item is my Deckle scissors. They are perfect for cutting out background frames. Can I pick two things that I can not live without? I would have to say my cricut and my cuttlebug. Oh and stickles....a girls' gotta have some bling right? I absolutely cannot live without my 3-D stickers and designed paper. The stickers just make everything you make look more decorative and I just love paper! I can't live without my stickles, ribbons and paper! :P Thanks for the chance! Yummy candy! 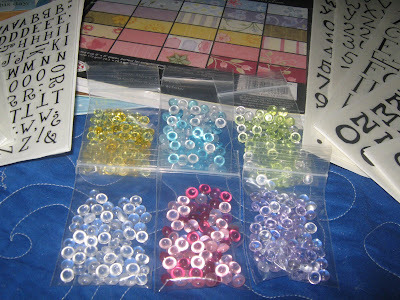 I love anything sparkly, so I can't craft without my "bling it on!" 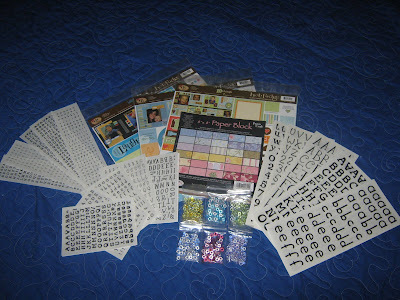 kit from CK, stickles, and of course, my cricut! I love your blog, and look forward to meeting you at the GT Swarm! I LOVE my Cricut. I got it for my birthday this year, and honestly don't know how I ever lived/scrapped without it. I am madly in love with my Expression. That is my last earthly possession that I could let go of. And I'm pretty hooked on Design Studio too. Oh, the list goes on and on. See ya at the swarm, chickie! I cant live without my markers!! There are a few things I can't live without... My SU stamps, ATG Gun, White gel pen from SU and my cuttle bug. 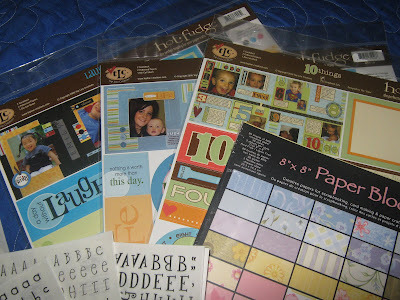 I have to say that my 'can't live without' scrapbooking item would also have to be my Cricut. I haven't had it very long but I absolutely love it and have used it a lot already! There are so many things I cant live without!!! I cant live without pretty paper!! I couldn't live without my adhesive. I have to have tons of adhesive. I can't live without idea books. I'm a total scraplifter! I too can't live without my cricut and now that they do a new blade housing that cuts chipboard it makes it even more my number one craft item I can't live without. I also could not live without blossoms, I love to put them on my layouts. I have to agree that my Cricut is #1; however I also couldn't live without my glue runner! It would definently be my beloved CRICUT!! How did I ever craft without it? I have no idea!!! I have to have my double sided tape. I use it on everything, even the oddest things you wouldn't believe. I will definetly have to PAY it FORWARD if I win this lot, as I love this idea(and I loved the movie too). Thanks so much and can't wait to see whom wins. On a side note your work is wonderful I love it all, look forward to seeing more of it. Hope you have a wonderful week and weekend. Definitely my Cricut Expression and the design stufio! I think that I would ahve to say my big bug! I do not know what I would do with out it! I am trying to use more of the cuts on my cards and can not wait for the new blade housing to make my word books! Of course, I'm going to say my cricut and CDS. But after everything's cut and xyroned to attach--I have to say my glue eraser. Pay it forward--what a great idea! 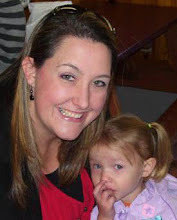 Awesome blog candy Jenny!!! And thanks for paying it forward! You're awesome!! :) Ok, I've got to list two things, maybe even three. The cricut expression is pretty much a given to me, so besides that I would have to say chalk ink and pop dots. I have to define my work with the ink and I think I use pop dots on almost every card I make. Thanks for the chance at the awesome blog candy, and thanks tons for the shout out! HUGS!!! OK, I've got 3 things I can not live without.. First,my new Cricut Expression,which I'm still in the process of learning all the functions. Then my stickles and finally my wonderful sewing machine.I use it on almost all my cards I make. I wanted to say my cricut expression and design studio because I use them so much with my special needs son to make projects and things for him. I make puzzles, games anything to use in his therapy sessions. I want to say that your blog is great! I love making handmade cards and other items for friends and family. I love the pay it forward - I've done that in many aspects of my life. I love your blog...and something I cannot live without?!?! that would have to be my copic markers. I love them. Not real good with them, but I try! Great blog! I can't live without my Cricut, glues and bling!! My #1 CAN'T live with out craft item is my sister... because she knows everything and makes the cutest things! Wow Jenny your blog is great! I love your cards. I also like the Pay it forward blog candy, what a sweet idea. I have to say that my Expression is my all time favorite tool right now, that I can't live without. : ) I use it at least a few times a week. Hi Jenny! The tool I really couldn't live without has to be my computer. It's at the heart of everything I do. Whether it's editing photos (that's the point of all this, right? ), using my cutter, or journaling; my computer is always going. It's also what distracts me from getting more scrapbooking done. Love your blog!!! You inspire me! What a fun prize! My favorite scrapbooking must have is the crop-a-dile. I hated eyelets until this little miracle showed up, and I never go cropping without it. I don't want to win anything, but I just wanted to say HELLO!! So, if you pull my name, choose again. It looks like you are becoming quite the popular woman! How fun!